Niel: Is a bug somehow dropping us to a 256k download limit (Stream plan)? Seams almost like it's something like this, as the speeds do seem to match a 256/128 connection. So far I haven't had a repeat, so will continue to wait and see. 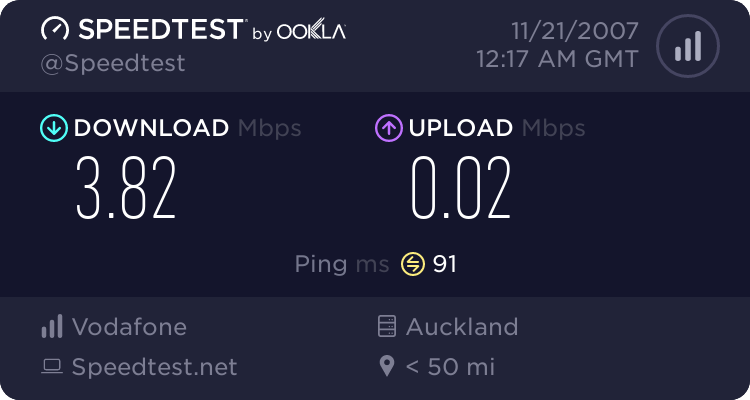 I actually had it last night on my home connection... Was during some downloads - the aggregate speed would get up to around 300kbps, then seem to be actively throttled, and drop to about 50kbps and slowly build up again. This repeated while I was watching - eventually I went to bed and just left it going, seemed to go okay in the end. 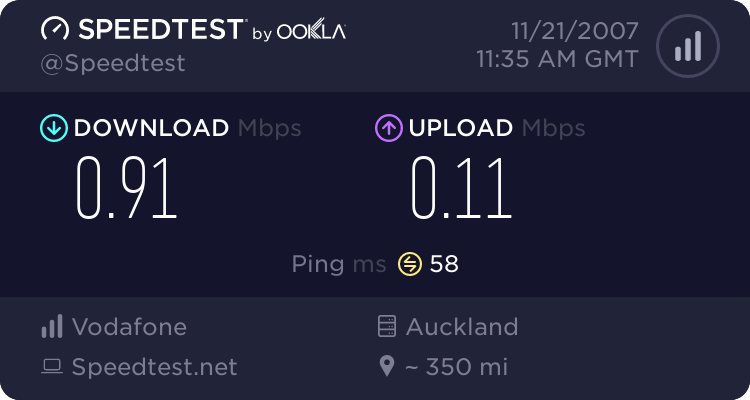 DylanReeve: I actually had it last night on my home connection... Was during some downloads - the aggregate speed would get up to around 300kbps, then seem to be actively throttled, and drop to about 50kbps and slowly build up again. This repeated while I was watching - eventually I went to bed and just left it going, seemed to go okay in the end. Sounds about normal to me, except it's far more noticable on int'l traffic. Detruire: Sounds about normal to me, except it's far more noticable on int'l traffic. The connection which I posted the results from has a Static IP. This puts you into a different IP address range which may be treated differently at Xnet as regards International Bandwidth. At any rate, it's worth a try as it won't cost you anything to have a Static IP. Is this speed limiting a normal thing? I've not ever noticed it before, wasn't aware of it as a policy? 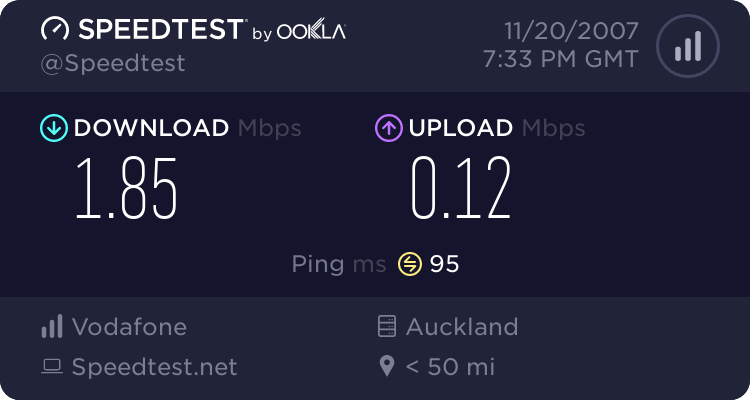 DylanReeve:Is this speed limiting a normal thing? I've not ever noticed it before, wasn't aware of it as a policy? What I'm talking about seems to just be the nature of DSL, since it's been annoying me since signing up. As for int'l... I just believe there's not enough bandwidth for everyone. No, this is not normal. It is an intermittent fault of some sort, possibly on the exchange. The effect is if your connection speed has be limited to a 256/128 connection. As soon as the router is reset, your speed returns to normal. It has nothing to do with international bandwidth, or ISP "speed limiting" etc. We are chasing this down, if anyone has the issue during the day and can afford not to restart their device straight away, if you can PM with your user Name we can try and see where the issue is occurring, working on a couple of theories at the moment but at this stage nothing concrete as yet. Detruire: As for int'l... I just believe there's not enough bandwidth for everyone. 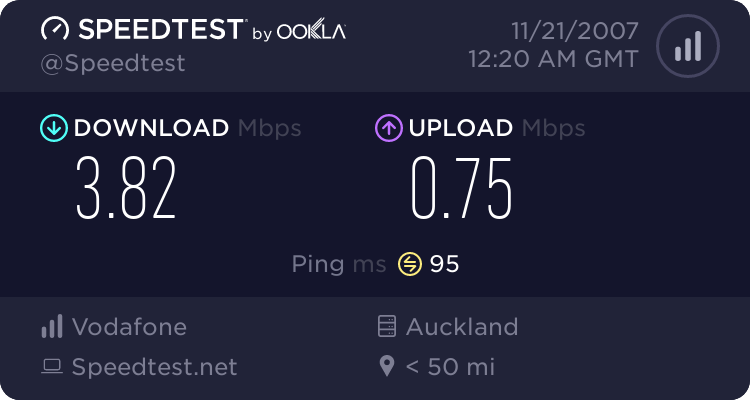 My post above concerning the Static IP was intended to refer to the "Poor International Speed at Night" problem, not the "Strange Speed Drop" problem. Sorry if that wasn't clear. mine has done it again! Ummm, that's not full speed up! Phoning you very soon. We may have now identified an issue (thanks for leaving those devices on line), we are are now working with our vendors to confirm, this looks to be random and can effect upload or download and appeasr in the form of a rate shape. A restart of your device will fix the problem. We will advise when we have an update. Got home, and found that "line speed downstream" was down to 64kbps!?!?! Restarted, and it's linked up at 1000kbps... Better, I guess, but still not the normal "River" speed!